Hospitable hosts and wholesome family fun! Thank you Elaine, Ken, Sam, Tom and Jo. We had a terrific few days at Barcoos. The kids loved all the activities and have been hard pressed to decide what was their favorite – possibly a tie between riding the gentle giant Prudence and tractor driving. We stayed in the ‘sheep paddock’ in our own caravan – the interaction with the friendly sheep was a great bonus the kids loved. Extremely clean and adequate amenities for our use also. Very glad we made the trip, it was a memorable family holiday. Thank you Karen and Chris. It was great fun to have you visit and we loved the girls involvement in everything. Thank you so much we had such a wonderful stay at Barcoos. From the moment we arrived we were taken into the afternoon farm activities and my daughters 10yo and 4 yo were into it from the get go, and you made us feel so welcome. Both my girls love animals so they were in their element. Feeding and caring for the animals, being part of the daily farm activities was such fun for us all. We stayed in the farm house and loved it its a beautiful old house. Thank you both for all you gave us during our stay. Karren, Chris, Matilda and Adelaide. Wow, what a great time my grandsons and myself had at your unique farm stay. Even though we live on a few acres, its not the same without all the lovely animals you have there. My grandsons are still talking about it and it has been two days since we were there. It is a credit to you both and your family members, what you do for others. We loved the fresh baked bread of a morning, watching the clever pig and feeding all the animals. The accommodation was lovely and clean, comfortable and warm. We felt at home. We did meet some lovely people staying there also, mainly from Sydney, who had never experienced country life. To get down and be dirty, care for animals, live quietly, no rushing and just to be in an open space. 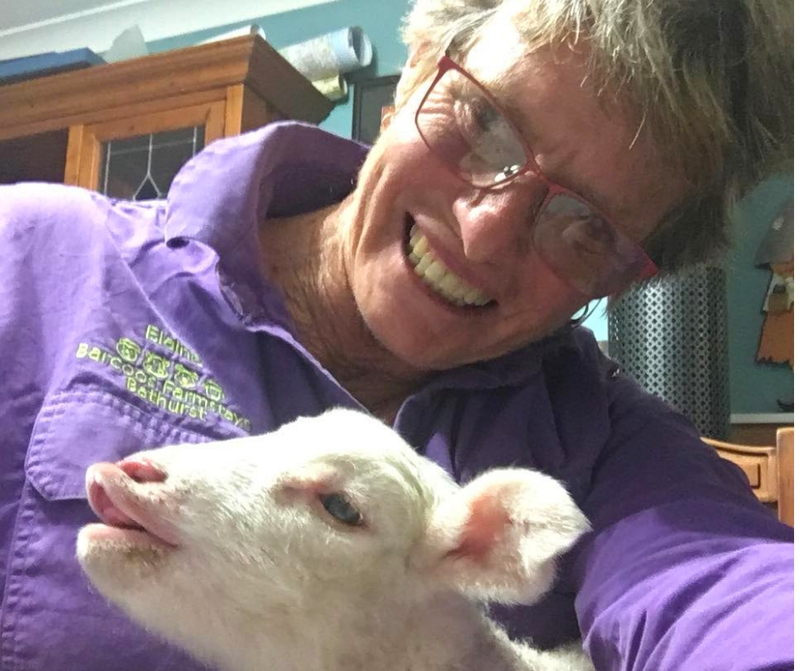 One couple I met, live in a unit in Sydney, they don’t have a yard and their children just loved it, riding little shetlands, patting and playing with dogs, feeding chickens and sitting on a black calf called Peter. My eldest grandson loved the sulky ride, because you let him do it, it was something he had never done before. So, thankyou I thoroughly enjoyed my self also, it was lovely to share time with them in a happy atmosphere. You really do have a unique place. Keep it up, you must get exhausted. What a wonderful place to go and visit. Ken and Elaine were fantastic hosts and made sure we had plenty of fresh bread and barn laid eggs to keep us well fed in the morning. We loved being able to interact so closely with the animals and Ruby made sure that we kept her entertained with the tennis ball. Can’t wait to come back and visit again. Well worth the trip! It’s truly an amazing experience for me and my family. The activities we get to do hands on such as chicken, sheep, pig feeding, horse and tractor riding. Elaine and Ken are truly hospitable and make us feel very at home. Not to mention the handmade bread, cereal and also fresh eggs if ur lucky enough for breakfast! Cottage is simple, clean and cosy. We simply love it! Always a great stay, this was our third visit and first time camping at Barcoos and we are hard pressed to choose our favourite way to visit, but the children reason that we can visit more often if we camp and it is hard to fault that! The children (10, 9 & 6 years old) cannot choose their favourite activity – when asked it just turns into a list of everything they did, horse rides, the dogs, the clever pig, the chooks & eggs, the sheep feeding & truck rides etc etc etc, and we always end up talking about our visit for weeks after. Bathurst in Autumn is lovely and well worth a drive around. The farm activities and facilities are just great and there is always something new to see and do on the site with every trip. There is something good for the soul about a trip to Barcoos, and we always return a happier and tighter family. Thanks Elaine and Ken for a enique experience, we didn’t ecpect to fine a caravan park at a farm stay. We had a great time exploring the Bathurst region and loved the interaction with your animals.